Likewise, the game’s looting systems is designed to make you bump into other players more often. In PUBG you scrape the map for scopes, foregrips, weapon stocks, and silencers. Plus, that powerful Mini 14 or an elusive 8x scope could be hidden behind any door in any building, so you’d better check every nook. Fortnite simplifies that: you won’t find weapon attachments, and most of the good stuff is housed in chests that glow and emit noise. I never feel like I have a reason to hang around after I’ve cleared a building—camping is possible in buildings, but the race for loot feels fiercer. That’s partly because high-tier loot is more important in Fortnite. 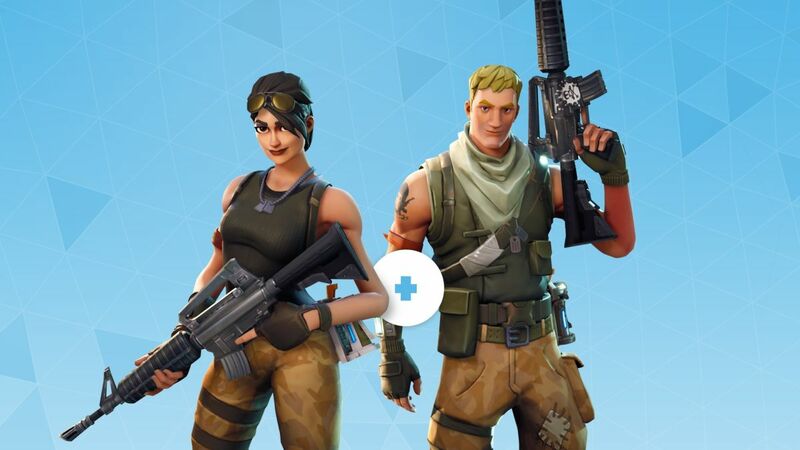 I know getting geared up in PUBG is vital too, but the differences between the AK, the M4, the SCAR and M16 are not game-breakers, whereas in Fortnite a gold SCAR and a blue assault rifle are night and day. Higher-tiered weapons give you a huge advantage, and can save you even if an enemy has a drop on you (like in the clip below). I always feel like I need more kills and the loot that comes with them to give me a chance in the late game, so I’m more aggressive than I’d ever be in PUBG. I take chances that perhaps I shouldn’t, but that puts me in situations in which I can light up the killfeed and bask in glory.